In 1917 the Cabinet decided that a National War Museum should be set up to collect and display material relating to the Great War, which was still being fought. The interest taken by the Dominion governments led to the museum being given the title of Imperial War Museum. 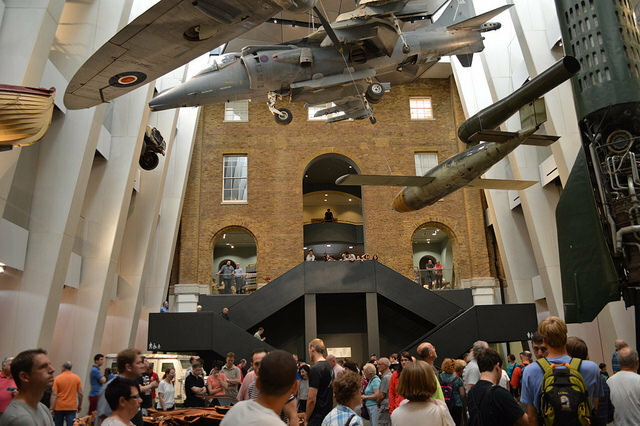 IWM London reopened recently after a period of redevelopment. We visited the new-look IWM London, which marks this year's First World War Centenary with ground-breaking new First World War Galleries and a newly configured atrium displaying the museum's iconic large objects. To mark the First World War Centenary IWM London also launched Truth and Memory — the largest exhibition and first major retrospective of British First World War art.